This week, we look at some resources for our non-core area teachers. 1. Music4Education - This is a great site that provides sample lessons and resources for music teachers. The sample lessons are provided in a variety of formats, from Word documents to websites. Of course, as with any sample lessons, they can be tailored to fit the needs of your classroom. The provided resources are through delicious. These are resources that have been collected by a music teacher. As they are on delicious, you can take advantage of the features of social bookmarking. 2. RealAge Videos - RealAge has a great collection of videos that can be used in both the FCS and Health classrooms. Among the collections of videos are videos for healthy eating, cooking tips and techniques, fitness, workouts, YOU and your body, and beauty and skin care. RealAge isn't just videos, either. There are plenty of resources for helping you to live a healthy lifestyle. These resources can help with a multitude of lessons across content areas. 3. 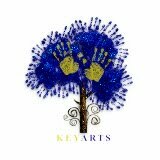 Keyarts - Pennsylvania has its own arts education space with Keyarts. On this wiki, you can find resources for the various arts, including dance, music, theater, and the visual arts. There are so many ideas on the site that help make connections to 21st Century education, grants and funding, and opportunities for students. As we all know, the arts aren't just for the arts classrooms, and they are very essential to the core curriculum areas. Keyarts has a section on the wiki that shows connections to Language Arts and Mathematics, as well as what arts integration is all about.